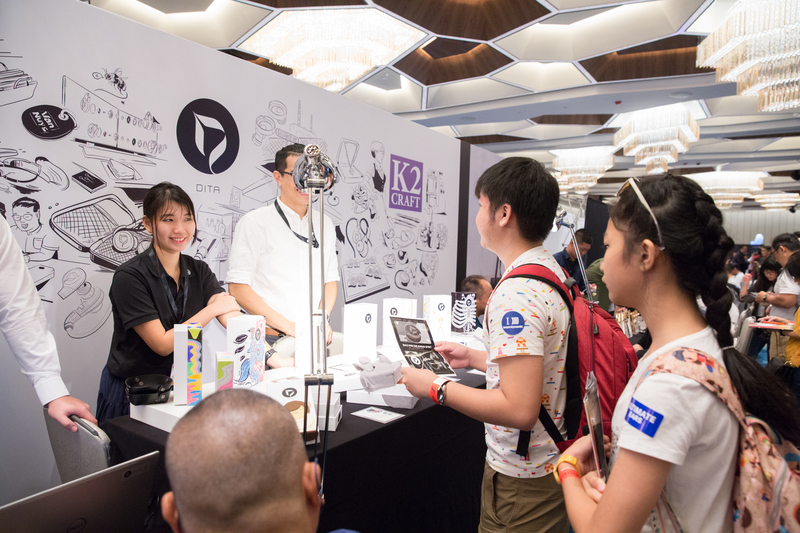 A week-and-a-half ago, I was fortunate enough to attend arguably the largest portable audio festival the world has seen yet: CanJam Singapore 2018. I’ve been a regular attendee of the event ever since Singapore’s inclusion into the CanJam Global roadmap in 2016. Obviously, the show has matured tremendously in both manufacturer inclusion and fan participation – which has made it all the more fun to attend, yet all the more exhausting to properly cover. As per usual, I made IEMs (both custom and universal) my #1 focus – due to the sheer diversity and ease of the form factor – with the inclusion of a couple cable manufacturers for good measure. 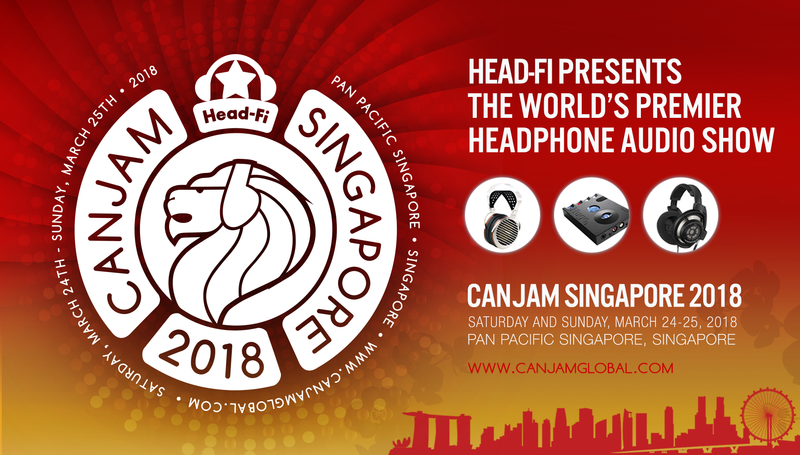 So now, without further adieu, I present to you my earnest in-ear coverage of CanJam Singapore 2018! I talked about the Major quite a bit in my e-earphone article here: https://theheadphonelist.com/e-earphone-japan/4/. I’m afraid I can’t say much more without another audition, but I have talked to FAudio about a potential collaboration with the Major. I can’t really speak to the comparisons you’re asking for, because I haven’t listened to them side-by-side with the Major. I can say that the Major is a step above its single-DD’ed brethren like the Dita Dream or the Sennheiser IE800S, but I don’t know whether it’s on par with technical giants like the Fourté. In terms of staging for example, the Fourté definitely has a more transparent stage. But when you take into account how much the Fourté sacrifices tonally in the process, all of a sudden the Major sounds like the more enjoyable option. Really, it’s too complex of a comparison for me to speak blindly on without an A/B audition, so you’ll have to wait on that. Given the Major’s tonal balance, it would work really well with hip-hop and house music. When you start talking about R&B and vocals, it really depends on what kind of R&B you listen to and what you look for from vocals. If the kind of R&B you listen to is more dreamy and vibe-y ala Miguel, for example, I think the Major would work really well. If it’s more pop-oriented ala John Legend, then it depends on how you like your bass. I think the Major’s low-end is guttural, visceral and placed just right, but with those genres of tracks, it may outshine the vocals a bit – not in presence, but in engagement and musicality. If you want vocals to be the clear focus of the ensemble, the Major isn’t perhaps for you. But then again, none of the TOTLs you mentioned do that either, so I’m guessing that’s not what you’re fully looking for. In terms of vocal clarity, the Major performs really well. Its treble is a touch darker and smoother than the Fourté’s, so instruments aren’t as crisp as the ones on there. But as a result, the Major is more pleasing to listen to and less metallic-sounding. If you want more body and wetness with your vocals, the Major isn’t too much for that. The Major’s vocals are on the cleaner side, but again, they’re very refined-sounding, so they won’t come across lean at all. My top three universal IEMs (i.e. IEMs that aren’t available in custom form, so the Legend X and U12t aren’t included) at the moment would probably be the Major, Earsonics’ Grace and Jomo Audio’s Trinity Brass. I love the Major for the reasons I described on my e-earphone article. Earsonics’ Grace has a wonderfully elegant, refined, gorgeous signature that my colleague Nic so accurately described in his review: https://theheadphonelist.com/earsonics-grace/. And, the Trinity to me fuses technical performance and musicality in such a wonderful way. It’s a fun-sounding, coherent and engaging piece with an effortless and not-showy technical foundation underneath. Thanks for your impressions of the event. Im interested in your impressions of the retuned aaw w900. From the sounds of it, the changes have not fixed the treble timbre and have made the signature brighter and more treble focused overall. Would that be fair? Aaw are saying that the retuning improves the soundstage and treble detail. I have an opportunity to purchase the w900 for a good price but wondering whether to get the retuned version or the original. I have heard the w500 (which i liked alot – particularly its bass impact and stage width although found it a little artificial sounding), but i understand they are quite different tunings. I also liked the texture and body of the bass on the ax3. Even though its not quite your cup of tea, do u prefer the retuned or original w900? I prefer slightly warm, natural sound with the great bass texture and body of the other aaw models. Thanks for your impressions of the event. Im interested in your impressions of the retuned aaw w900. From the sounds of it, the changes have not fixed the treble timbre and have made the signature brighter and more treble focused overall? I have an opportunity to purchase the w900 for a good price but wondering whether to get the retuned version or the original. I have heard the w500 (which i liked alot – particularly its bass impact and stage width but also found it a little artificial sounding), but i understand they are quite different tunings. I also liked the texture and body of the bass on the ax3. The retuned W900 is more treble-focused overall, but that shouldn’t be read as an exacerbation of the the original W900’s problems. The old W900 had a lower-treble spike that was very clearly out of place compared to the rest of the frequency response. With the upper-treble lift, the general treble region is now accentuated, but it’s more linear and – therefore – more realistic. It’s still not natural in terms of tone – and the IEM’s whole tonal balance is now brighter as a result – but the increased coherence makes it at least neutral to the ear. In my opinion, the new W900 is a better buy than the original. The original is fatiguing because of its incoherence, while the new one fairs better in terms of linearity. The neutral tone is definitely in the vein of 64Audio’s U18Tzar or Jomo Audio’s house sound, but it’s surely a more-easily-liked signature than the original had. That makes sense. Buying iems blind is always a little unnerving. Thanks very much for your clear and quick response! Hi deezel, thanks for replying. How would the n8t and sound writer compare to the A18 tzar. I was looking top midrange and treble performance, clean speration and layering and also slightly boosted but accurate bass. I listen to pop, edm and acoustic covers both male and female vocals mostly. An i am looking for a custom. Btw how is the ergonomics and pliability of the wires of saladin and 1950s say compared to the latest from effect audio and plussound. The entire Soundwriter write-up is a comparison against the U18t; unfortunately I can’t get any more specific without an extended listen between the two. The N8t is a much warmer, richer and bodied IEM than the U18t. The U18t is cleaner and clearer, while the N8t has a bold, voluminous bass, a butter-y midrange and a more controlled treble. It looks like what you’re looking for is an emphasis on technical performance, with moderate body from the bass, so for your preferences, I’d recommend the Soundwriter. All of PWAudio’s are as pliant and ergonomic as Effect Audio and PlusSound’s offerings. The only aspect in which they differ is in the feel or touch of the insulation; EA and PS’s insulations are softer to the touch. But, in usability alone, they’re pretty equal. The 1950s’ insulation was still pre-production, so I can’t comment. Thanks for you excellent coverage of canjam SG. Could you rate your top three fav iems and top three fav cables. Just to sum up your overall expwriences during Can jam. Thanks so much for your kind words! My top three IEMs there in terms of overall performance and personal preference were the N8t, the Soundwriter and the Vision Ears Erlkonig. But, the three most surprisingly impressive (especially in terms of value-for-money) were the AAW A3H, the Jomo Type X and a tie between the FIBAE ME and Model X.
Cable-wise, my top three were the Saladin+, the Janus D and the 1950s. I love the Saladin+ for its warm, bodied and natural tone, mated with great imaging and stage stability. The Janus D isn’t as warm as the Saladin+ in tone, but it does have a natural timbre balanced skilfully with strong technical performance and finesse in its note release. The 1950s is absolutely a cost-no-object item, but its open stage, colourless tone and bass performance have made it an almost must-have for me. I’ve honestly never heard the Phantom sound as good. Do you have any informations about the soundwriter? Unfortunately, the Soundwriter is currently going through several major revisions. I took down the Soundwriter section in the article to avoid spreading outdated and inaccurate information, but you’ll certainly hear from us once any new info comes to light. I asked you this question because I bought these iems in March and the long wait without any real answer leads me to fear that their manufacture will be canceled.